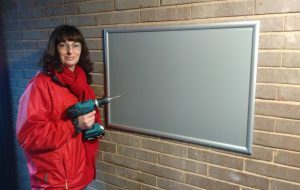 The estate services team has kindly donated some internal noticeboards to us. Last weekend, Michelle and Rob set to work fixing them to walls at the bottom of staircase s across the estate. Boards were installed in Ducavel, Ponton, Baly and Despard Houses, as well as Bushell Close. There were only five boards, so unfortunately it wasn’t possible to install one in every staircase. 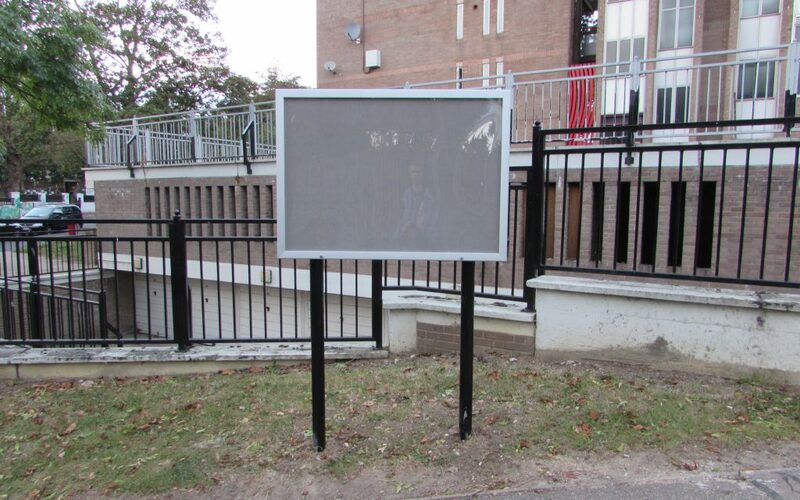 The committee will use the internal noticeboards to replicate information that is posted on the external boards, so, even if you can’t get to one of the internal boards, you won’t miss out on any information. 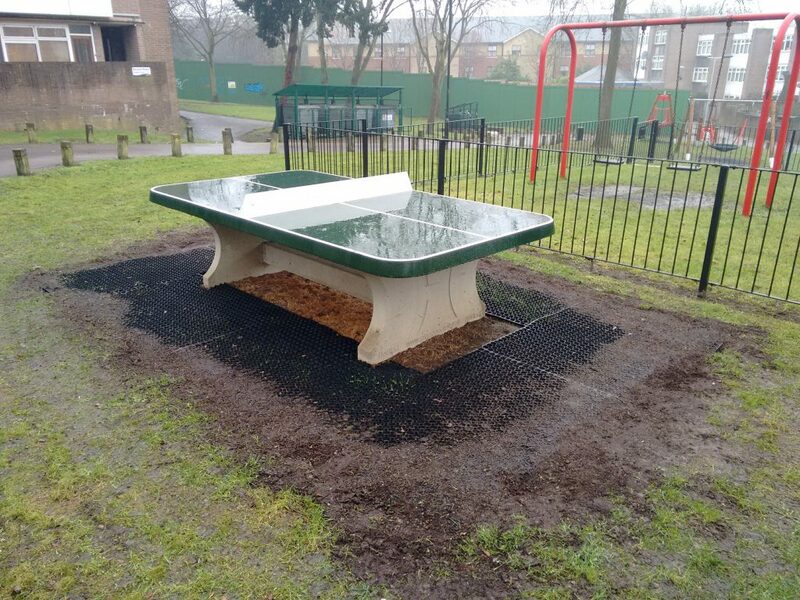 Another improvement that PRERA requested last August in our discussion with Linda Elliot has now taken place: rubber matting has been installed around the table tennis table and the slide. 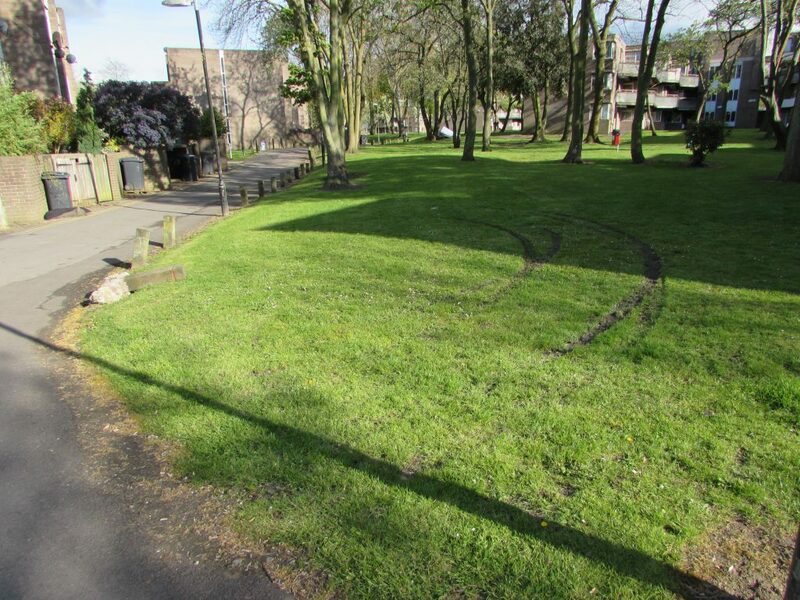 This should allow grass to grow in these areas and stop them becoming a muddy mess in wet wheather. 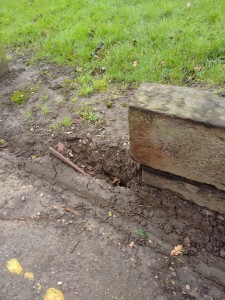 Over the past week you may have noticed mysterious metal posts appearing around the estate. 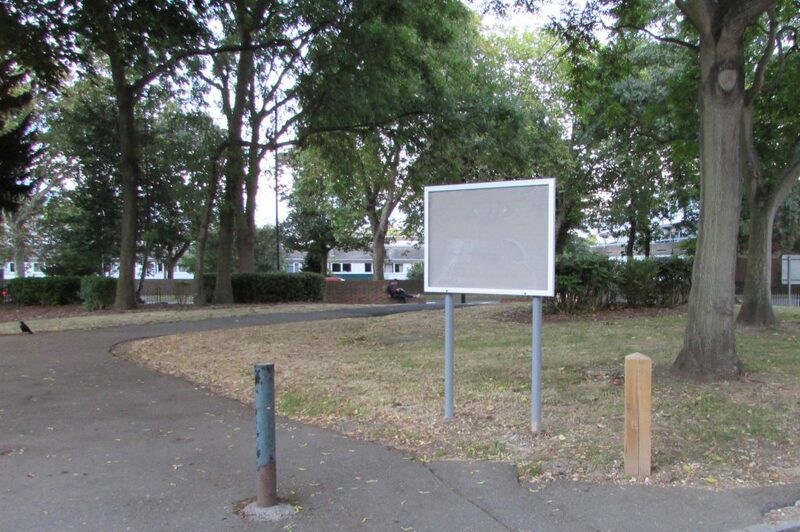 Yesterday the reason for the posts became clear – noticeboards have appeared! PRERA have been requesting noticeboards for a number of months, but it seems our recent meeting with Linda Elliot (Estate Pride Manager) did the trick. Three noticeboards have been spotted so far. Have you seen any others? There are many garages across the estate, but, unfortunately, only a few of them are available to use. These garages are at Despard House and Bushell Close and both sets are currently fully let. 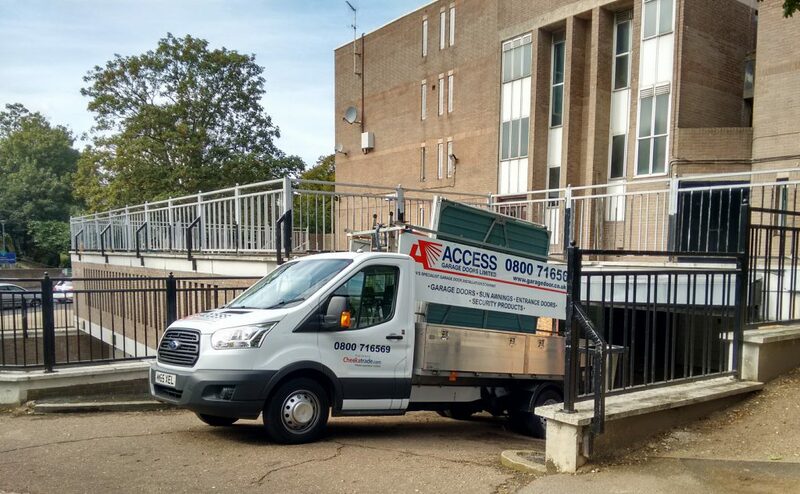 At Despard House there are a further 20 garages that were used by Keepmoat during the project to replace kitchens and bathroom. According to the Lambeth Parking and Garages Manager, these are now being renovated in preparation for the garages being let to a car club. 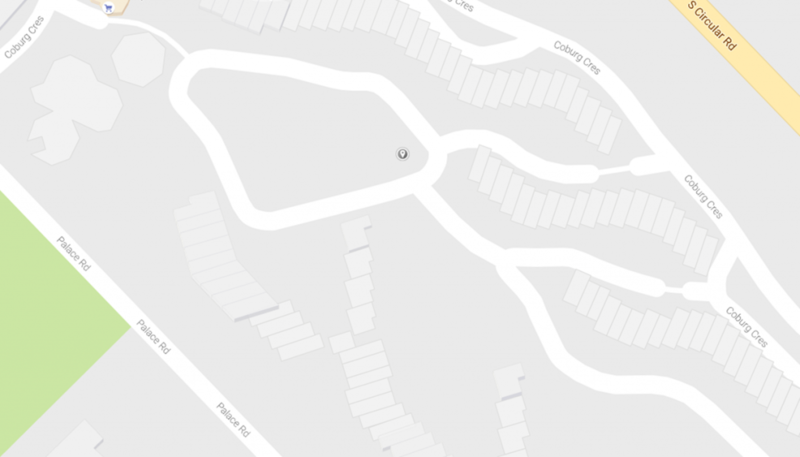 There are many more garages that are out of use across the estate, at Baly, Ducavel and Ponton houses. They have been out of use for many years. A few years ago an estimate of the cost of renovation was made, which came to over £200,000. Much of this cost was related to the removal of chemical stalactites that can damage the paint on cars. 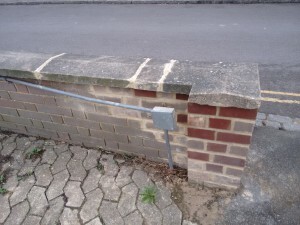 It was decided that this cost made bringing the garages back into use economically unviable. 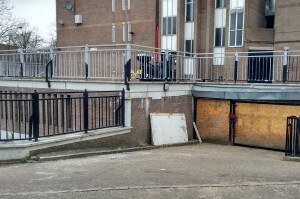 The Parking and Garages Manager is looking into cheaper options for the re-use of these garages, including the possibility of building council housing on top of them. 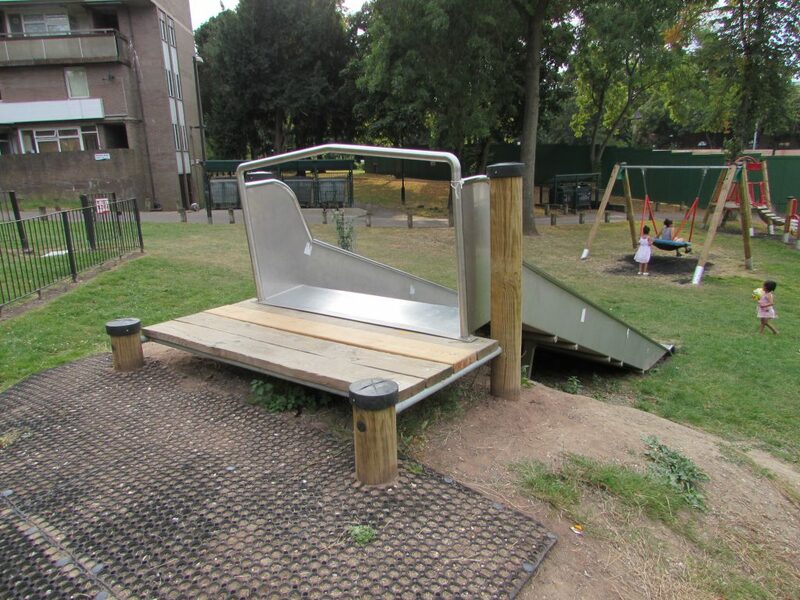 During this evening’s meeting on the estate with Linda Elliott (see previous post), Linda mentioned that the council have found a specialist play equipment contractor. 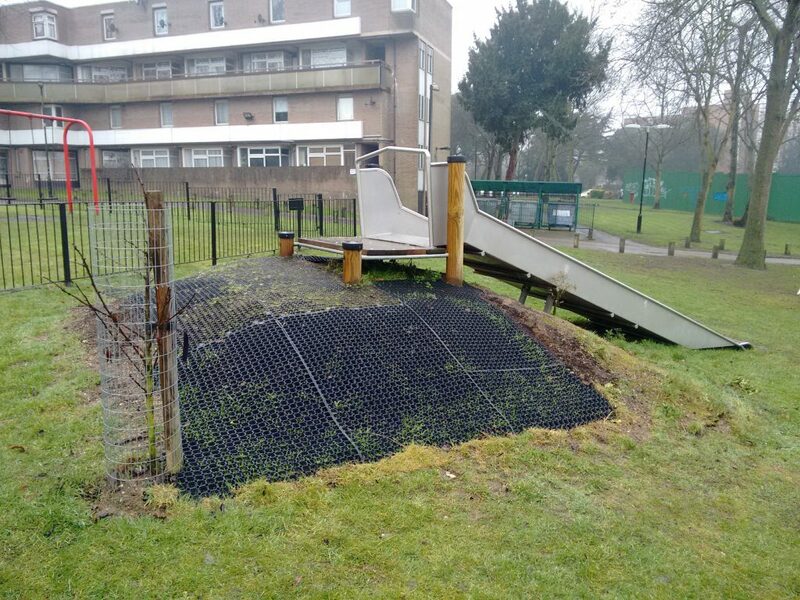 This is why the platform for our slide has recently been repaired. 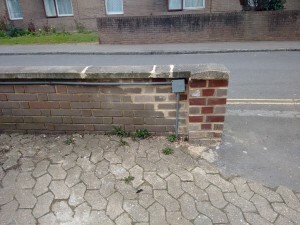 Before – missing fence panel and broken plank (April 2016). 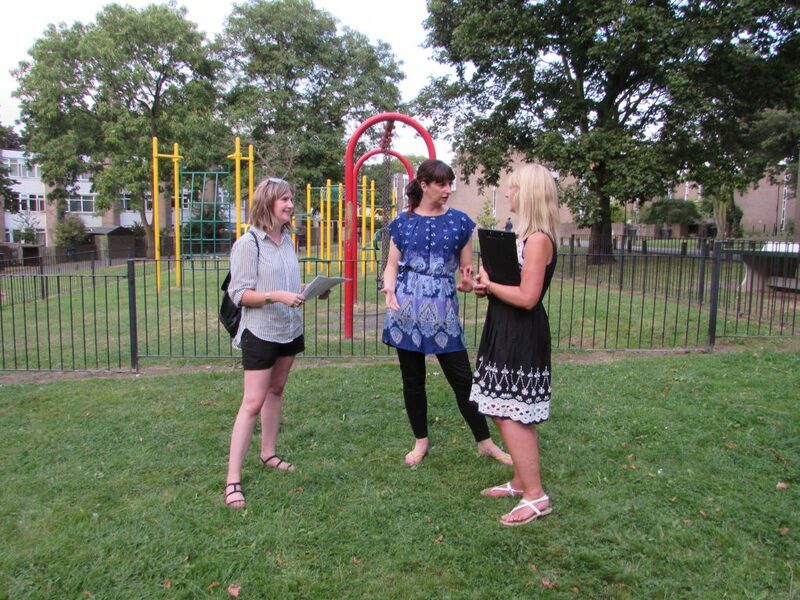 This evening Franny, Michelle and Rob met up with Linda Elliott, Lambeth’s Estate Pride manager. 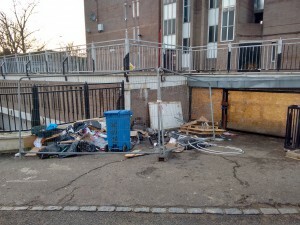 Estate Pride is a scheme for environmental improvements to the council’s housing. 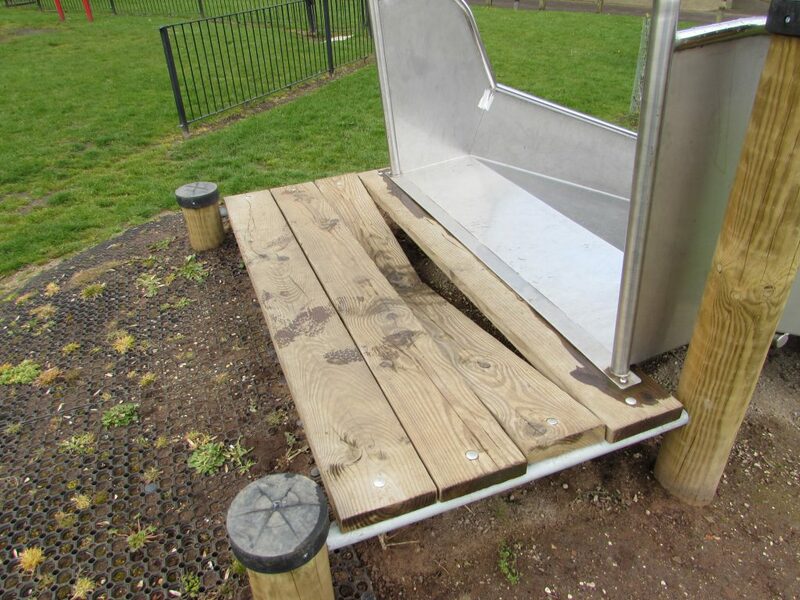 We discussed many improvements that could be made to the estate, including improvements to the play area (mats either side of the table tennis table, new springs for the gates), better provision for rubbish (a new rubbish bin and dog waste bag dispensers) and noticeboards. 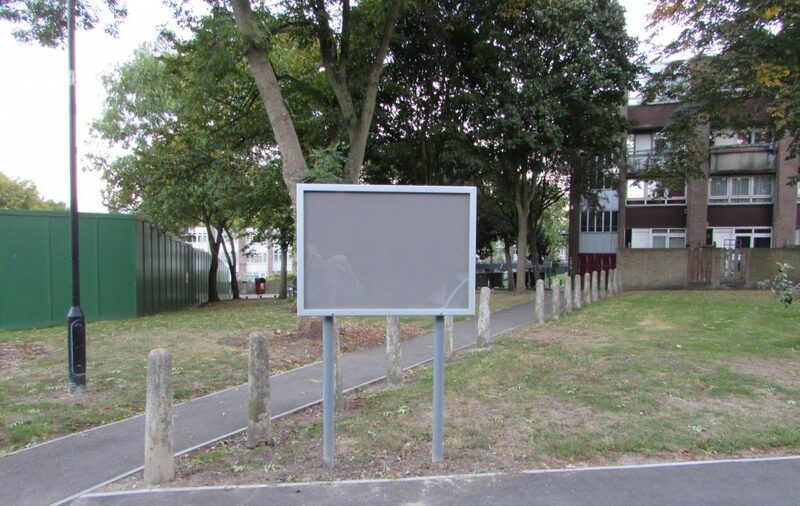 The committee are particularly keen to have noticeboards installed, to help with communication with residents, and we hope to get some in the next few weeks. It’s been an exciting week for maintenance on the estate. 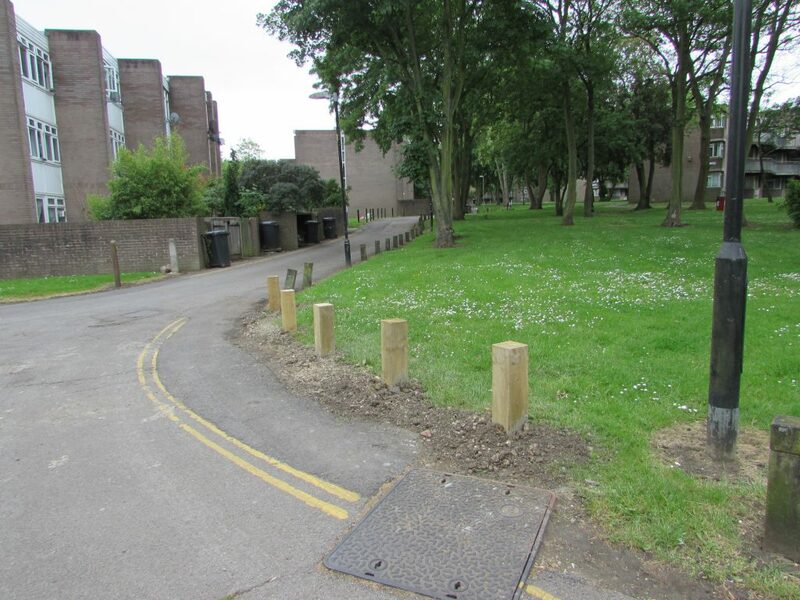 After last Friday’s walkabout with Teodoro from Estate Services and Peter from Pinnacle, not only have five new bollards appeared, but the bund (grassy bank) next to the new parking spaces on Coburg Crescent has been covered in topsoil and seeded with grass seed. 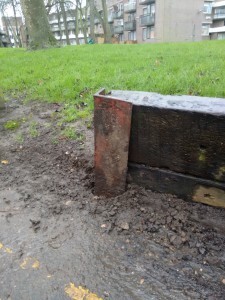 The PRERA committee have been chasing the council to finish the work on the parking spaces since January. 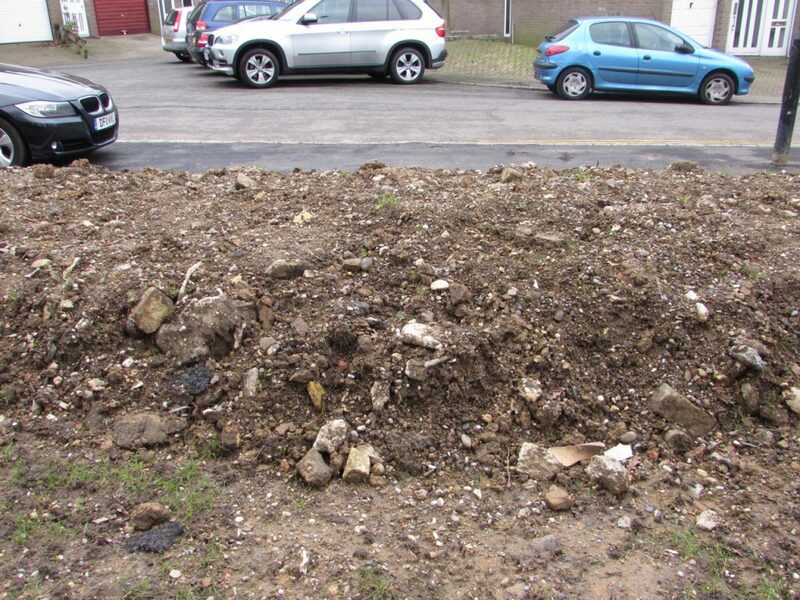 When the new bund was created, it was full of rubbish, rubble and tree roots. Once the grass has grown the bund should be much more attractive than it was before. 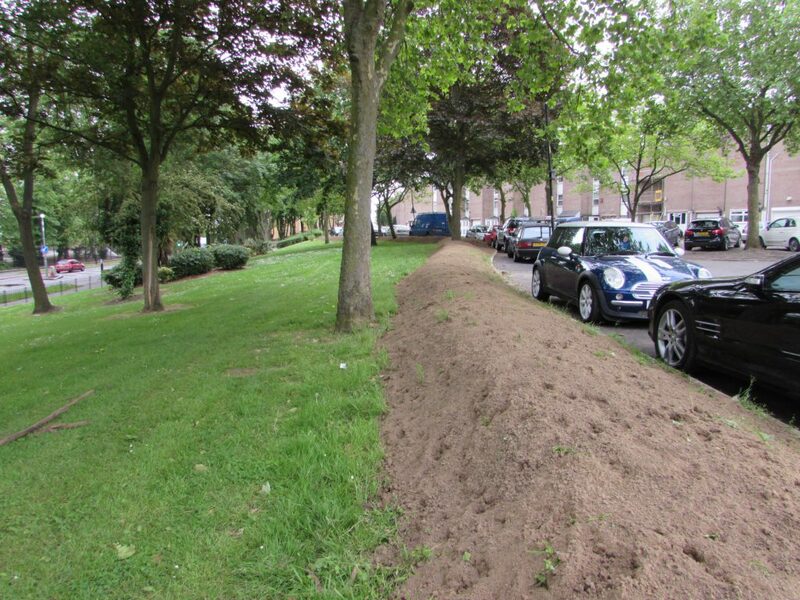 The new topsoil will enable the grass to be cut in future without the grass-cutting equipment being damaged by the rubble. 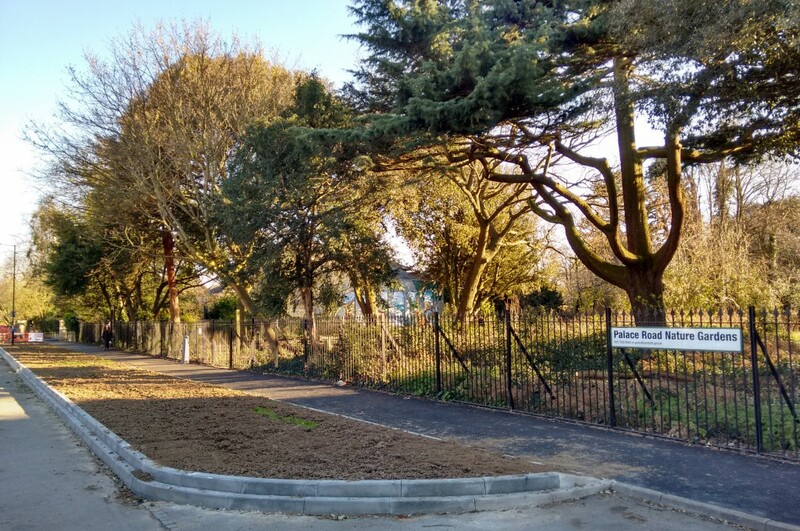 Since being elected, members of the PRERA committee have been doing their best to improve the environment around the estate, by working with the council and contractors and by taking direct action. We realise that there is plenty more to do, so please help us by letting us know what issues concern you. You can also help by taking action yourself or by getting involved with PRERA.